Emily White grew up working on a small dairy farm in Ohio with three generations of her family, and she still dreams of a world where Louis Bromfield had become Secretary of Agriculture for just one term. Her enthusiasm for community-driven arts and culture has led to a career in regional book and magazine publishing from California's Heyday Books to Washington's Mountaineers Books, where she currently serves as an editor. Never one to turn down an opportunity to learn, she’s also tried her hand at bartending in France's Basque Country, sea kayak guiding and backcountry camp cooking in Southeast Alaska, and commercial salmon fishing in the Arctic. Having lived on a boat for over five years, her preferred dining room is almost always outside, and her most treasured recipe is her Grandma Settlemire's wild raspberry pie. Emily's interest in Slow Food includes helping others celebrate food traditions old and new, and exploring the stories of what we eat and where it comes from. Austin leads Farmstand Local Foods and is focused on creating dynamic, rewarding sales relationships between farmers and chefs. Austin discovered his passion for agriculture while attending the University of Wisconsin — shortly after graduation, he worked to grow a small produce and livestock farm outside of Green Bay, where he was first exposed to wholesale restaurant accounts in a town known for it’s love of rich foods. Before Farmstand, Austin gained experience in the Seattle marketplace working on behalf of 21 Acres to build an urban logistics system and heightened demand for NW Washington products through the Puget Sound Food Hub. Gerry joined Slow food in 1996 and founded the Seattle chapter in 1997. He has been continuously involved since, as a chapter leader, board member, chairs of multiple committees and a mentor. His passion has always been Biodiversity for which he received the Slow Food Snail Balzer award at Slow Food Nations in 2017. Over the many years, Gerry has been a contributor to many national committees and initiatives. He has successfully nominated many NW products for the Ark of Taste, is the project coordinator of the Makah Ozette Potato Presidium, and is pursuing development of new NW Presidia. As Regional Governor he currently coordinates and supports four chapters in Washington. Gerry is a retired Clinical Professor in Rehabilitation Medicine and Bioengineering at the University of Washington Medical School. He and his wife, Diane, organic garden, enjoy cooking, and have been making better wine than they could afford to buy for nearly 50 years. Kim started her career as a photographer and graphic designer, and later found her true passion in the culinary arts. She graduated with top honors from the Pacific Institute of Culinary Arts in Vancouver BC. She worked as chef at Macrina Bakery and Cafe, and chef / food photographer at Chateau Ste. Michelle Wine Estates. As chef/owner of Curious Pie Design, Kim promotes sustainable living through method-based cooking instruction, organic garden starters and hand-crafted products. She joined Slow Food Seattle in 2003 and now serves as executive director for the Seattle chapter advocating culinary traditions, food literacy and food justice. David is the award-wining author of twenty books on topics that range from watching gray whales and bald eagles to appreciating cockroaches, coral reef fishes, and geoduck clams. He has been featured in Ripley's Believe It or Not, National Geographic Kids, The Wall Street Journal, and Time magazine. He's been a guest on Late Night with Conan O'Brien, ABC's Nightline, and The View. As a bug chef, he has performed at the Smithsonian Institution, Yale University, and Singapore's Food Fest. David lives in Seattle with his wife and their pet tarantula, Wes. Madeline is a graduate of Western Washington University where she wrote a degree concentrating in Ecogastronomy, Food Policy, and Sustainable Agriculture. She is passionate about food, farms, and yoga. Her love for Slow Food was born when she was a freshman in college after taking a course in Ecogastronomy. Madeline has a background in nonprofit work with organizations such as Non-GMO Project and Common Threads Farm. She has worked in school gardens, classrooms, on farms and at farmers markets. She currently works in the food styling and photography world, ignited after self-publishing a cookbook called "Edible Ed” and doing photo contracting work for nonprofits. She also teaches yoga at local studios and loves to help people slow down and enjoy the moment whether it is through food or movement. Philip was a former co-lead of Slow Food Seattle and former board member of Slow Food USA. He was the co-leader of Slow Food Seattle’s school garden program. He is the co-founder and publisher of READERS to EATERS, a children’s book publisher with a mission to promote food literacy and led the effort to have Governor Jay Inslee to proclaim September as Food Literacy Month as a time to promote food education across Washington state. Slow Food is a pioneer in raising awareness of good food to the public. I’m especially excited about its global perspective as well as commitment to promote and preserve biodiversity. It is also unique in its recognition and celebration of the diverse cultures of food and their culinary traditions. Susan (Cherokee and Naqui Nations) is the co-founder and Executive Director of Na’ah Illahee Fund, a nonprofit organization focused on Native female-centered activism and leadership. Susan holds a Bachelor of Business Administration and a Master of Science in Teaching. 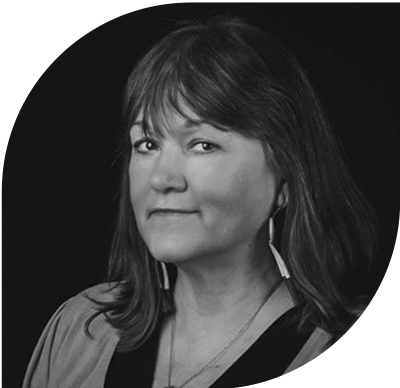 She has worked as a specialist for multiple tribal youth programs for the U.S. Department of Justice; the OJJDP’s Tribal Youth Programs; United Indians of All Tribes Foundation, Changemakers Foundation, NAYA Youth and Family Center, and the Western Water Alliance. Mother of three and grandmother of three, Susan has studied extensively with herbalists, is an avid gardener, cook, and a voracious reader of historical novels. She currently serves on our Slow Food Seattle advisory board, the Potlatch Fund board, and the Washington Progress Alliance board. Click here for Susan’s complete bio. Kären is the fine dining Chef Instructor of Seattle Culinary Institute at Seattle Central College. Kären spends summers at Cheese Company’s Farm School teaching professional chefs, culinary students and agricultural professionals, farm to table immersion courses and philosophy. She is the co-author of Rethinking the Kitchen, the sustainable kitchen handbook and “Chefs on the Farm” cookbook. Kären was the founding president of FORKS, the Seattle chapter of Chefs Collaborative and was recently honored with the Chefs Collaborative National “Sustainer 2012” Award. Alice Water’s Edible Schoolyard named her an “edible education hero” in October 2012. Click here for Kären’s complete bio. Ron is the Executive Chef and School Garden Administrator at Forest Ridge School of the Sacred Heart in Bellevue. He has been cooking professionally for more than 37 years. In 2008 a parent from the school gave Ron a copy of the Edible Schoolyard. Four years later, this parent’s dream became Ron’s mission: to introduce school gardens and edible landscapes to the school’s campus. In 2014 Ron was a delegate for our chapter at Slow Food Terra Madre, and in 2015 he represented Slow Food at the Edible Schoolyard Academy. Ron serves on our advisory council as a champion and leader for school gardens and food education in private and public schools across the greater Seattle area. Leslie Seaton ran the food event website Fresh-Picked Seattle for five years, collecting and sharing the amazing variety of food activities Seattle has to offer. Naturally, her favorite part of being on the Slow Food Seattle board was helping to organize the chapter’s food events, bringing people together not only to enjoy delicious foods, but to learn more about the stories behind them. Amy is a fisherman and owner of Duna Fisheries based out of Port Townsend. Amy and her husband, Greg, catch salmon in Washington and Alaska by trolling, often called hook and line fishing, which is a sustainable technique. She has been an independent consultant for Commercial Fisheries Outreach and Sustainable Seafood Consulting for nearly twenty years working with Ecotrust, Sustainable Fisheries Partnership, Seattle Chef’s Collaborative, Culinary Institute of America, Ocean Conservancy, and Save Our Wild Salmon. Amy is a co-coordinator of FORKS, sits on the board of the Organic Seed Alliance, and serves on our advisory board. Amy’s blog is Fish = Food. 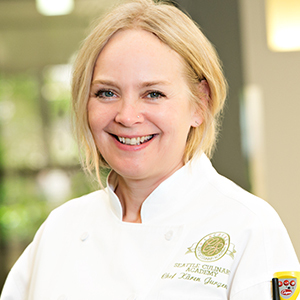 Elizabeth is a Registered Dietitian Nutritionist and the Culinary Advocate for Compass Group, the largest foodservice company in the world, where she works with Microsoft Dining Services. As a graduate of Slow Food’s University of Gastronomic Sciences, Lizzie uses her tenets to inform the daily food choices she puts in place within Dining at Microsoft’s Cafes, Culinary Academy, kitchens and events. She strongly believes the importance of supporting biodiversity that is good, clean, fair, and not just limited to people who can afford it. Varin is the chef at Heartwood Provisions. His career as a professional chef began at Elliott's Oyster House in Seattle. His last tenure before Heartwood was head chef of retail operations at Farestart, where he trained homeless and disadvantaged adults while overseeing catering and restaurant accounts. During his tenure at farestart, he was awarded the ICEX Spanish Trade Commission Scholarship, allowing him to live in Spain for nine months and cook at celebrated restaurants El Celler de Can Roca and Espai Sucre. Varin's model is through education, for his staff, his guests, and himself. ‘Oyster Bill’ Whitbeck is a Seattle based photographer and writer. Originally from Norwalk, Connecticut, he became interested in shellfish farming while operating a photography studio in an old oyster house on Long Island Sound. During the 1970s and early 1980s, he photographed every aspect of oystering in Connecticut. After moving to the Seattle area in 1977, he found himself becoming more involved with the Northwest shellfish scene, and co-authored “The Joy Of Oysters- A cookbook and guidebook for shucking, slurping, and savoring nature’s most perfect food”. In August 2001, Bill went back to Norwalk to spend time with his father, and while working for an oyster company, witnessed the 9/11 attack on the World Trade Center from an oyster boat in Long Island Sound only 20 miles away. In October 2017, Bill retired from Taylor Shellfish Farms as their Seattle area sales manager, where he coordinated the sales and deliveries of fresh shellfish to roughly 200 restaurants. His direct contact with Seattle area’s best chefs and restaurateurs made for a very enjoyable job! In addition to his involvement with Seattle’s bustling food community, Bill continues living life to the fullest as a photographer, writer, and musician, having performed at New York’s Carnegie Hall in 2006. He is also a seasoned mariner, holding a US Coast Guard 100-ton Captain’s License. Bill received a BS in Photo-Illustration and Journalism from Kent State University in Ohio.